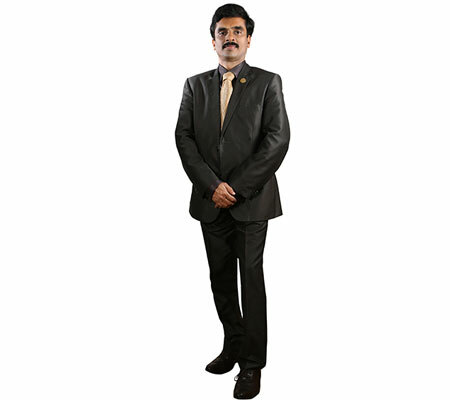 With an unmatchable experience of over 20 years in the global financial service sector, Mr Sajith Kumar P K can truly a visionary and emerging leader in the field of Finance .In the past 20 years, he has held positions with major Stock Exchanges, Financial Institutions, Financial Brokerage Houses and prominent Financial Intermediaries internationally. He is an inspirational leader, visionary, and strategic thinker who is adept at identifying unique business opportunities by utilizing today’s cutting-edge technologies to create and launch innovative investment products and services internationally. Mr Sajith started his venture in financial service industry by bringing his brainchild IBMC Group in 2010 to life and also by creating Four Pillars Strategy for the Financial Service industries which comprises International Investments, International Financial Education, International Tax and Audits, International Legal and Compliance and serving as Independent Investment & Fund Managers, Business and Investment Advisors, International Placement Managers through IBMC Global Networks. Through IBMC Global, Sajith had initiated to make Global business and professional tie-ups, joint ventures and associations with Bombay Stock Exchange (BSE), Bombay Stock Exchange (BSE) Institute, Life Insurance Corporation (LIC) of India, Central Depositories Services India Ltd., Pension Fund Regulatory and Development Authority (PFRDA), India International Exchange (India INX), Dubai Gold and Commodities Exchange (DGCX), RAK Department for Economical Developments, and other Government departments and corporate globally. In UAE, partnering with H.E. Sheikh Khalid Bin Ahmed Al Hamed, Mr. Sajith had taken the leadership to launch first of its kind UAE-INDIA Business Portal, UAE-INDIA Business Centre and conducting continuously 2 years UAE-INDIA Business Fest, the 10 months long non-oil sector development programme at all Emirates of UAE to build more business relationships and opportunities in all major sectors across the business classes between UAE-INDIA especially supporting for Government visions for Non-Oil Sector Diversifications, Public Private Partnership (PPP) projects and Private projects of both the countries. 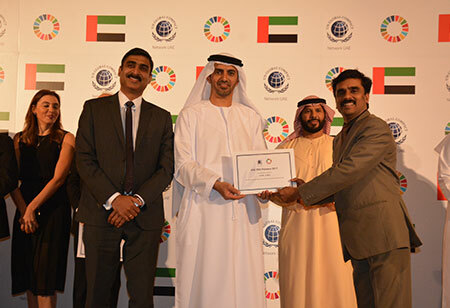 Considering Mr. Sajith leadership initiatives, United Nations (UN) Global Compact had shortlisted IBMC for SDG Pioneers 2017 Award, as one of the organizations advancing the Sustainable Development Goals in United Arab Emirates. 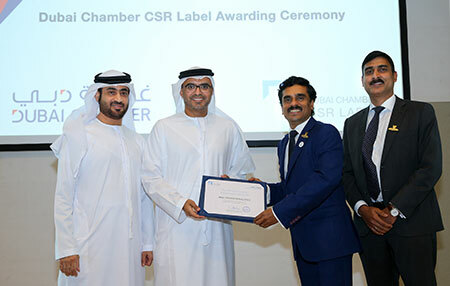 In 2018, Dubai Chamber of Commerce and Industry awarded Corporate Social Responsibility (CSR) Award for his valuable contributions to UAE economy. Mr. Sajith received Special Appreciation from Indian Consul General H.E. Sanjay Verma, Dubai, for the achievement of most prestigious award Mohammed Bin Rashid Al Maktoum (MRM) Business Award in Finance Category under his leadership in 2012. Honoring from Indian Media Forum UAE as a token of appreciation for the top most recognition received from UAE authorities in 2013. 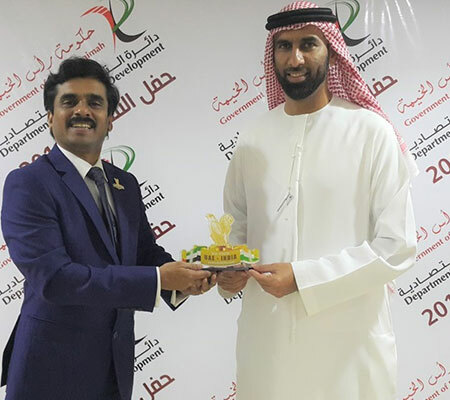 Mr. Sajith received ALLEEM Human Development Leadership Award 2015 from Sharjah and Middle East Best Achiever Award from the international compliance body, Allied Compliance Consultants in 2009, Dubai. In 2017, with India Government Pension Fund Regulatory and Development Authority (PFRDA) Sajith had initiated to introduce officially the National Pension Scheme (NPS) of India Government to Non Resident Indian (NRI) community across the globe. 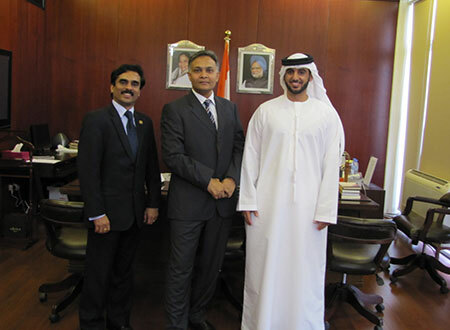 After meeting the compliance requirements of India and UAE, Mr. Sajith Kumar had taken initiative to open 1st Qualified Foreign Investor (QFI) account to India in the name of UAE National Investor. (QFI – India’s new initiative started in 2013 allowing foreign nationals to invest to India and now it is named as Foreign Portfolio Investor- FPI). Sajith’s initiatives had taken UAE’s Financial Service Industry into a new phase with International Compliance, IT and Finance policies. 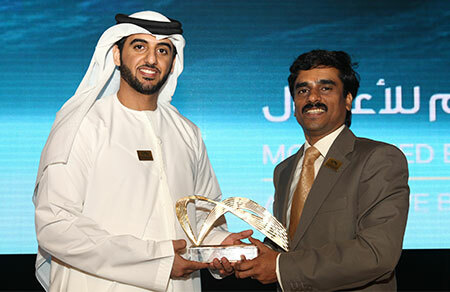 His leadership has received UAE’s most prestigious award “MOHAMMED BIN RASHID AL MAKTOUM (MRM) BUSINESS AWARD” in Finance category in 2012, Corporate Social Responsibility (CSR) Award from Dubai Chamber of Commerce and Industry, UAE in 2013 and Arab Achievement Award in 2010, in “Leader in Finance” category. Sajith have given innovative contributions to UAE Industry including CLIENT SEGREGATED BANK ACCOUNT SYSTEM, in association with EmiratesNBD, one of the largest bank in Middle East, GLOBAL CASH MANAGEMENT SYSTEM in 2010 in 2011,IBMC Investors Clubs across UAE, Indian Rupee Hedging facility for NRIs through Dubai Gold and Commodities Exchange (DGCX), Commodities Summit in 2006 with DGCX, CSR project “EMIRATES Investor Savings Plan”, “UAE’s First Rural Area Investor Awareness Campaign” at Ruwais in association with Abudhabi National Oil Company (ADNOC), in 2016 EMIRATES INVESTOR EMPOWERMENT CAMPAIGN with Emirates Securities and Commodities Authorities (ESCA), UAE, Dubai Multi Commodities Centre (DMCC), Dubai Gold and Commodities Exchange (DGCX) with the support of United Nationals Global Compact UAE (UNGC), BSE Institute, IBMC Group, Al Hamed Group, CDSL -India, ICSI-India and CEO Clubs UAE. Mr. Sajith is the guest lecturer for Management Colleges in India, UAE and frequent guest speaker at industry conferences, roundtables, and panel discussions that cater to the global financial services sector. He is also actively involved with multimedia (mobile, internet, broadcast, web, and print) events, and he is highly regarded as a financial industry leader and often provides global market updates to the media from UAE and India. Mr Sajith is also a mridangam player and music enthusiast. He is known for endless contribution for india classical music. Intiated to start Ekata Narathri Mandapa Sangethotsavam at Sharjah from 2012 Onwards and acting as chief advisor. Playing mridangam for carnatic music programmes across UAE. Played mridangam at UAE stages for Sangeetha Vidwan Kalaratna Sri. K G Jayan (Jaya Vijaya), Yuvakala Bhatathi Sri. M.K. Sanakaran Namboothiri, Sri., Sreevalsan J Menon and many more.